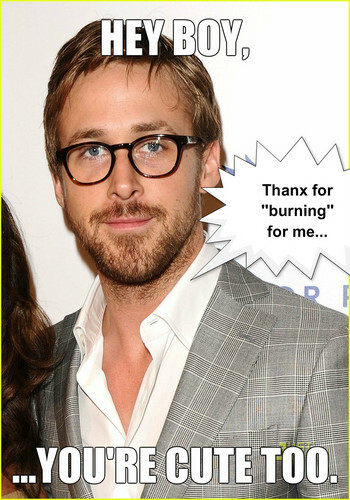 Gosling_HeyBoy. What Ryan Gosling should say to James Franco.. HD Wallpaper and background images in the Ryan Gosling club. What Ryan Gosling should say to James Franco. This Ryan Gosling fan art might contain business suit.